Shortly after 3:30pm Eastern on October 2, a once-familiar scene beamed from a pocket of New York's neon-bathed, jam-packed Times Square. 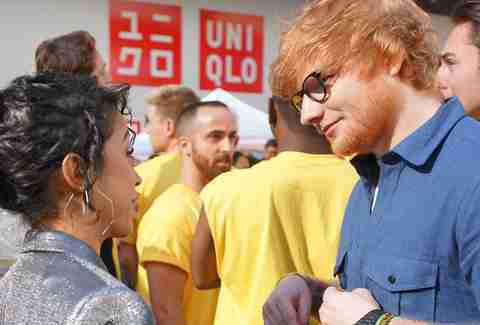 From the windows of an 8,000 square foot studio, Vine star and Wild 'N Out cast member DC Young Fly beckoned to Tamara Dhia, a correspondent on the streets below, to decide which Ed Sheeran fan would get a "bless up," an upgrade from the sidewalk cheering section to the white-floored and screen- and light-paneled walls. Welcome to TRL for Gen Z. As the camera panned around the studio, the faces of audience members, not seated on bleachers, but interspersed throughout the space, hardly seemed old enough to remember the Total Request Live’s first iteration, which ran from 1998 to 2008, as an after-school countdown of the top pop music videos. Piercing screams that were once reserved for boy bands like N*Sync and Backstreet Boys were now directed towards Sheeran and Migos, Monday’s first musical guests. MTV’s latest project -- rebranding their afternoon video countdown show for a social-media-attuned audience -- was finally unveiled after months of speculation over what the show would actually be like. In the 10 years since the original TRL went off the air on November 16, 2008, the birth and emergence of YouTube as the digital destination for music videos quickly antiquated the format of MTV’s benchmark program -- YouTube and other social media platforms made placing (and fulfilling) requests a simple matter of typing in what you want to watch. When scouring hashtags is more fruitful and convenient than logging phone calls, and the exclusivity of music videos diminishes as soon as the clip is shared on the web, would there be any need for the show’s iconic countdown-style layout? No, actually, there wasn’t. Over the course of the hourlong program, hosts chatted with musical performers Migos and Ed Sheeran, plus Riverdale star Lili Reinhart. 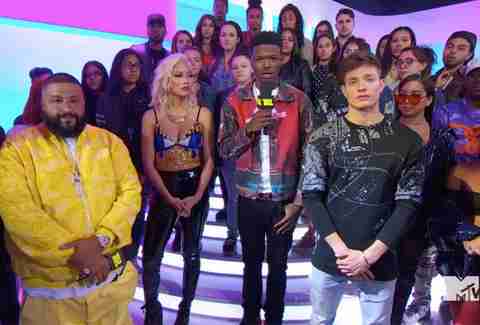 "The Godfather" of TRL, DJ Khaled dropped wisdom and offered support following a moment of silence for the victims of the mass shooting that took place the night before in Las Vegas. Segments were dedicated to introducing the show’s cast of correspondents, many of whom are social media stars. The stunts and games that added variety to traditional interviews were lightly introduced, like DC Young Fly asking the members of Migos how much money they had in their pockets. The "request" part of Total Request Live is still foggy. What is actually being requested? Celebrity guests push song requests onto the TRL Playlist, a rolling weekly song queue, but that’s the closest the show gets to demands. 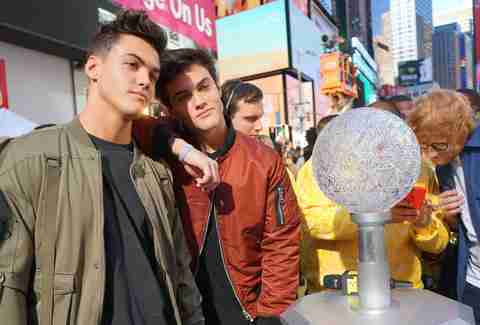 The significance of the original TRL was the show’s ability to not only cover and share culturally iconic moments, but to create them. There was the entire episode Diddy ran on a treadmill. Or the time Mariah Carey surprised the audience with ice cream and performed a pseudo striptease for an incredulous Carson Daly. The early aughts’ biggest stars took on guest-hosting duties, making pre-social media era actors and musicians accessible. For those with little sense of what was "cool," TRL was the older sibling that offered a cultural education. The show was live in an era before the DVR and blogging boom, so video premieres and newsworthy appearances carried more weight for those who watched the show in real time. Coming home from school every day and tuning into TRL meant sitting front row for the day’s most important musical surprises. If you missed it, you were left out. The new TRL doesn’t appeal to this element of exclusivity. As the reboot progresses, MTV will have to work to secure opportunities for the kinds of off-the-cuff and surprising moments that made the original exciting to watch -- because DJ Khaled bringing his Snapchat platform to TV once again is growing stale, a recycled cultural phenomena branded as new. 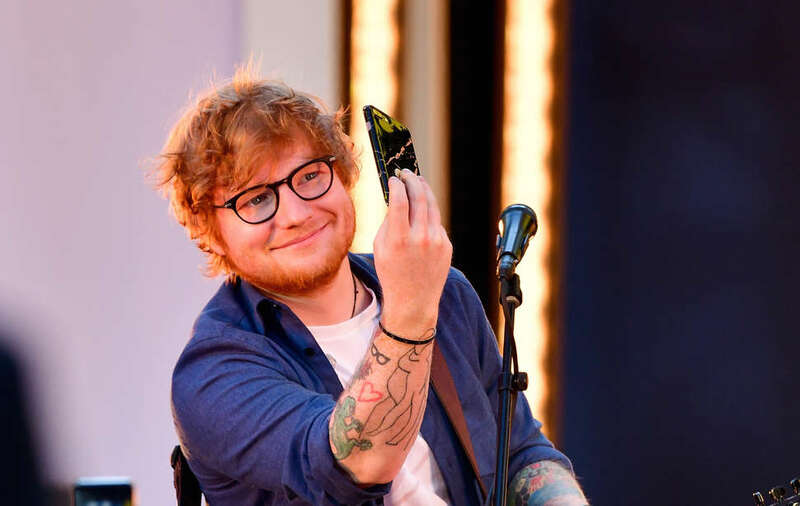 The new version attempts to stay current through its attention to social media: Ed Sheeran played a tweet-ranking game, audience members wielded phones, actively collecting (and likely sharing) live photos and videos, and social media gags were planned, like crowdsourcing stunts via Twitter for correspondent Liza Koshy to perform on the street. In a sign that these efforts are out of touch with the actual contemporary internet landscape, however, the show wasn’t live tweeting during the premiere. TRL 2.0 prides itself on intense fandom; the goals it inspires begin with a hashtag. For it to embody any of the cultural relevance of the original, though, MTV must create these hashtag-worthy moments that viewers won’t want to miss -- and can’t wait to share later. Allie Volpe is a writer who has never hosted TRL. Follow her on Twitter: @allieevolpe.